Subscibe to my YouTube channel. Upcomming videos and live streams with Ultra Fractal fractaling. Ultra Fractal chatroom!!! 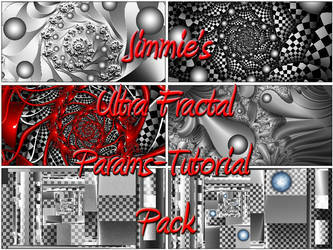 For Ultra Fractal users to share params, ideas or just talking. Join if you like. Here on those sites you can buy my artwork! My name is Jimmie Josefsson. I came in contact with fractals in the middle of the 80’s. I had a Commodore Amiga 500. First fractals were coded in Amiga Basic. With enormous rendertimes. I got my hand on another fractal generater later which was a little faster. Then some years ago I picked up fractaling again on my PC. Now everthing was faster and more of everthing. I’ve always been fashinated with fractals from the moment I first saw them. Favorite visual artist Maurits Cornelis Escher Favorite movies Star Wars Favorite bands / musical artists Soilwork, Meshuggah, Scar Symmetry Tools of the Trade Ultra fractal, Apophysis, Sterlingware, Fractal Explorer, PhotoShop Other Interests Spending time with my lovely girlfriend Alicia and my son Leo, music, fishing, playing guitar in my band OBLIVION. I like very much things that break the pattern, push minds to think bigger. And your works do this job perfectly. Thank you so much!. I'm glad you like my work. Thank you so much! I might drop by sometime. I'm very familiar with the chat system. I have my own chatroom too. But not many visitors there. I used to to to chatroom Aposhack a lot before when it was active.